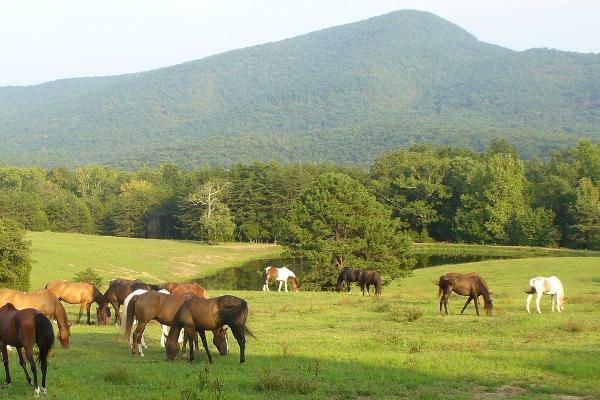 Whether you own your own horse or are looking for a guided horseback ride on one of our gentle trail horses, Fort Valley Ranch, nestled in the Massanutten Mountains of the George Washington National Forest, has the perfect setting. We have miles of marked trails on the Ranch as well as direct access to trails in the George Washington National forest. 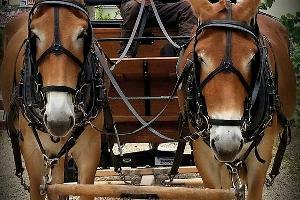 1 hour guided trail rides - 4 pm only. Rider must be 8 years of age or older and under 250 pounds. Offered during Daylight Savings Time only. Half day rides into George Washington National Forest. Ride departs at 9:30 am. and 1:30 pm (April - Oct.) Rider must be 10 years of age or older and under 250 pounds. Private trail ride by the hour. 2 person or $120/hr minimum. Riders must be 8 years of age or older. Bunkhouse Cabin No. 1 - Sleeps 6-8 persons. Bunkhouse Cabin No. 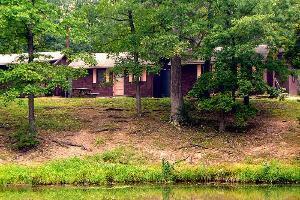 2 - Sleeps 2-4 persons. 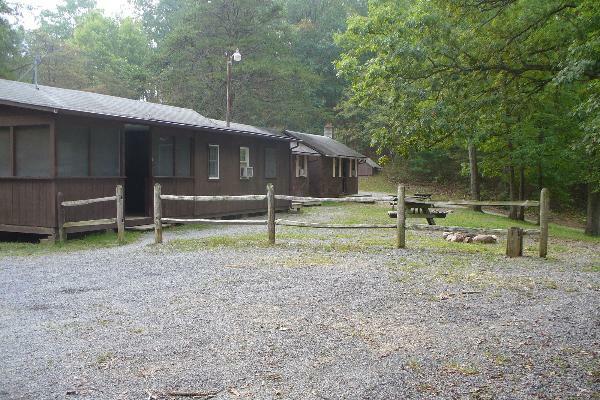 Bunkhouse Cabin No. 3 - Sleeps 4-6 persons. 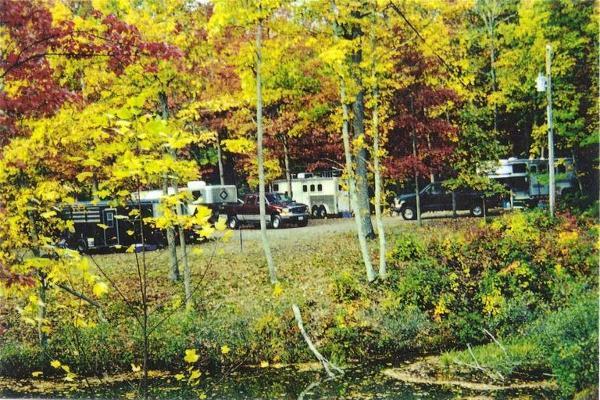 Campsite within the campground without water and electric. Picnic table and rock fire ring. 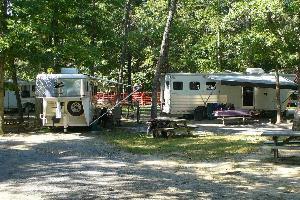 Campsite within the campground with water and 30 amp electric hookup. Picnic table and rock fire ring. Open field camping. No hookups. Water available in campground. 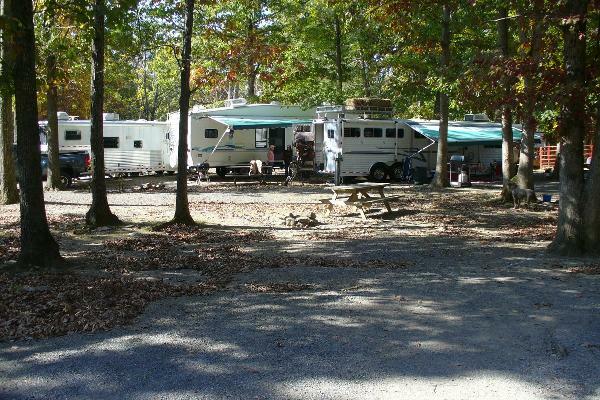 Campsite within the campground with water and 15 amp electric hookup (no air conditioners or microwaves). Picnic table and rock fire ring. 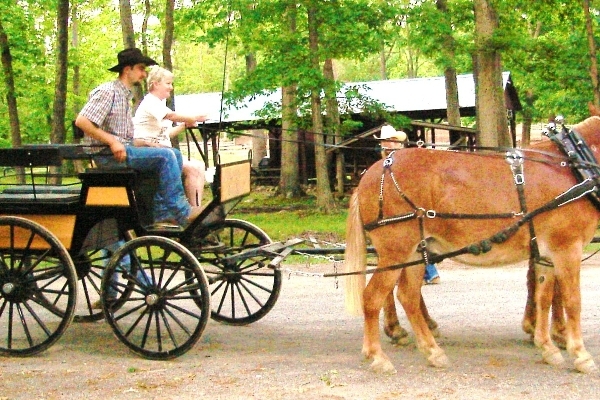 Historic covered wagon ride through the Ranch. Call for details 540 933-6633. 1 Horse in 12 x 16 corral (uncovered). Additional horses extra. Corrals are first come first serve basis. 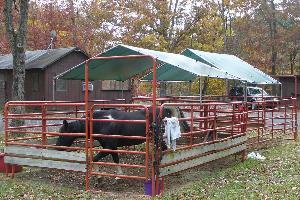 1 Horse in 12 x 16 covered corral. Additional horses extra. Corrals are first come first serve basis. This rate is applicable to those picketing, using their own portable corral or an additional horse in a corral or paddock. 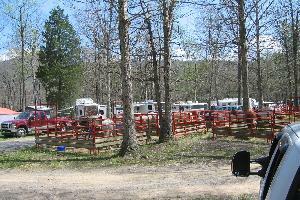 Picketing and using your own portable corral is only available with field camping. 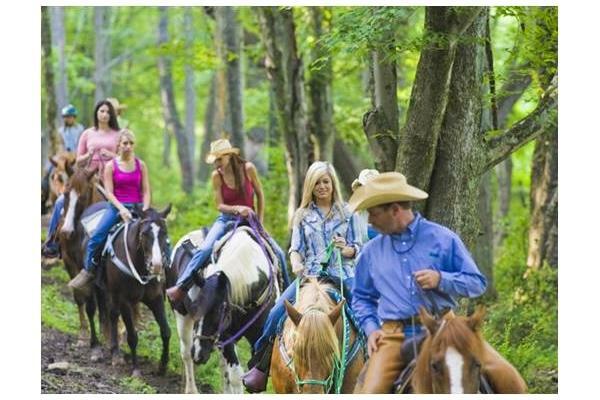 April 5-7, 2019: Fort Valley Ranch Spring Mountain Trail Ride Marked trails on the Ranch and in the National Forest. Beautiful ridge views of the Shenandoah Valley and River. High Adventure Full Day Ride to Kennedy’s Peak with lunch on the Trail. 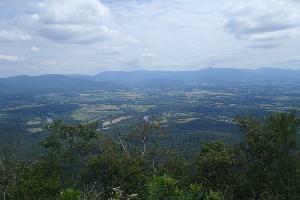 True mountain riding to one of the best views in the Shenandoah Valley. Bag lunch provided on the trail. Ride departs at 9:30 am. All guests must arrive one half hour before their scheduled ride. 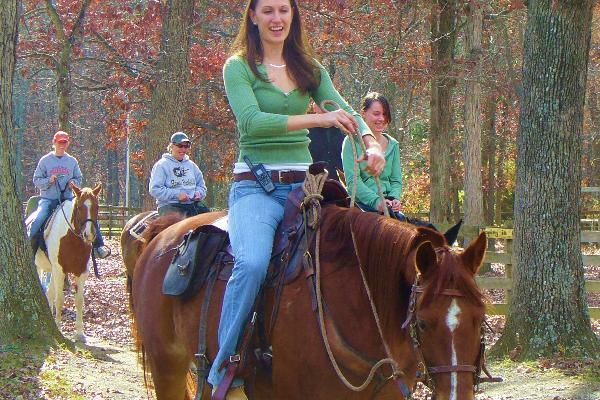 Guided Horseback Trail Rides and Wagon Rides- A cancellation fee of 50% of the reservation amount will be charged to your credit card for cancellations made within 48 hours of your reserved ride time, no shows and late arrivals . Rides are rain or shine unless cancelled by Fort Valley Ranch. 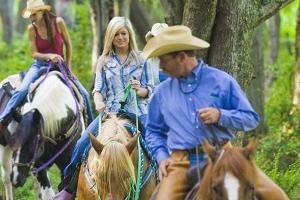 A cancellation fee does not apply to rides cancelled by the Ranch. 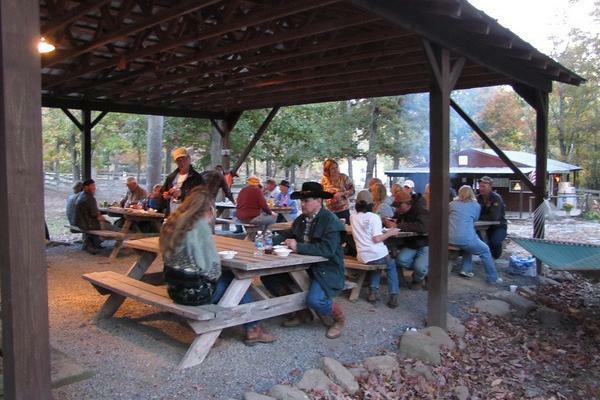 Camping, Horse Board, Bunkhouse Cabins, Ranch Packages - A deposit of 50% is required to secure your reservation. The balance is due upon arrival. All payments are not refundable within 14 days of your reservation. Rescheduling within 14 of your reservation and early departures are considered cancellations. By checking the box above, you agree to allow Fort Valley Ranch to charge your credit card on file for all property damage, other than normal wear and tear, for any damage to said property by yourself, guests, pets and/or equine, etc.